Dennis E. Clements - Excellent Cultures Inc.
Dennis E. Clements was an officer of Toyota Motor Sales, USA. He served as Group Vice President and General Manager of the highly acclaimed Lexus USA Division from 2000 to 2005, where he led the process of building the automotive culture that set the bar for the industry. He was previously President of Toyota’s Central Atlantic division from June 1991 to June 2000, and held a number of other senior management positions at Toyota. Earlier in his career, Mr. Clements served Ford Motor Company for 15 years, progressing through a variety of sales and management positions in the Ford and Lincoln-Mercury divisions. Since then he has served as a consultant to Toyota and other companies through his consulting firm Discretionary Effort L.L.C. which he founded in 2005 and serves as president. Dennis first encountered Excellent Cultures’ leadership tools nearly 30 years ago during a career transition between Ford and Toyota. He subsequently build five excellent cultures in various divisions with Toyota. His employees and associates affirm him as a highly creative, visionary leader with a straightforward approach and high integrity that continuously set performance records in every position where he served. 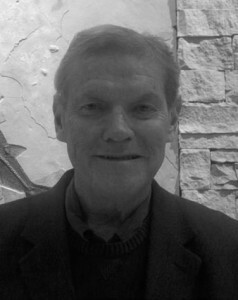 Mr. Clements also serves on the advisory boards of high tech firms Noribachi L.L.C. and its affiliate, Qnuru, as well as Asbury Automotive, a Fortune 500 Automotive Consolidator. He holds a Bachelor of Arts degree in Political Science from the University of Buffalo. Denny and his wife Sharon currently reside in the Santa Fe New Mexico area.